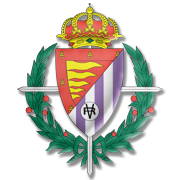 Real Valladolid and Celta Vigo, the two teams who sit in the danger zone, face each other at Estadio Municipal Jose Zorilla on Matchday 21. Real Valladolid were producing splendid performances in the first half of the season, but all of a sudden they suffered a dip in form. Sunday’s football match is of big importance for the hosts and we are positive that they are going to leave their hearts on the field. In their last home game in the Spanish top flight Real Valladolid suffered a shocking 1-0 loss to Rayo Vallecano. Os Celeste, on the other hand, suffered a loss in each of their previous four league fixtures and, no doubt, they are desperate to grab something from the Estadio Municipal Jose Zorilla. A close encounter is on the cards and we believe that there is a big value in betting on draw.